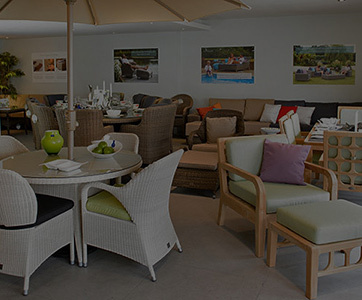 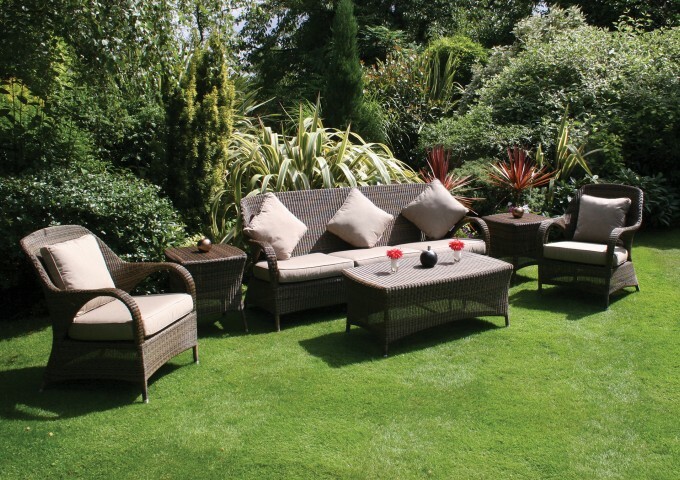 The Sussex collection showcases an eye-catching selection of elegant garden furniture, with each piece as hardy as it is beautiful. 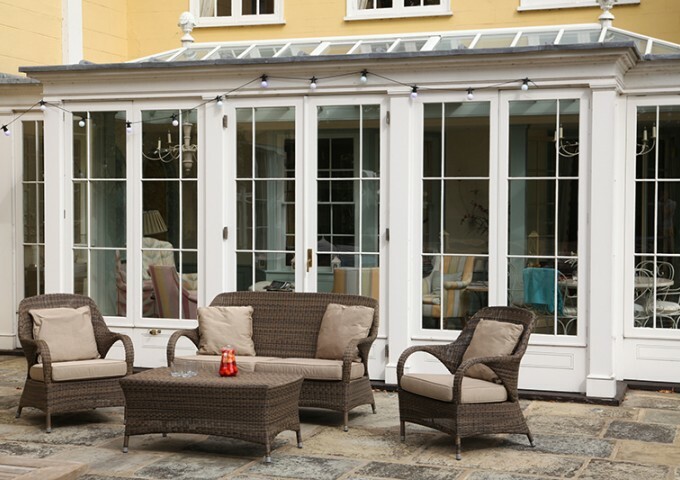 With many coordinating items available, you can indulge in a luxurious outdoor lifestyle whatever the size and shape of your outside space. 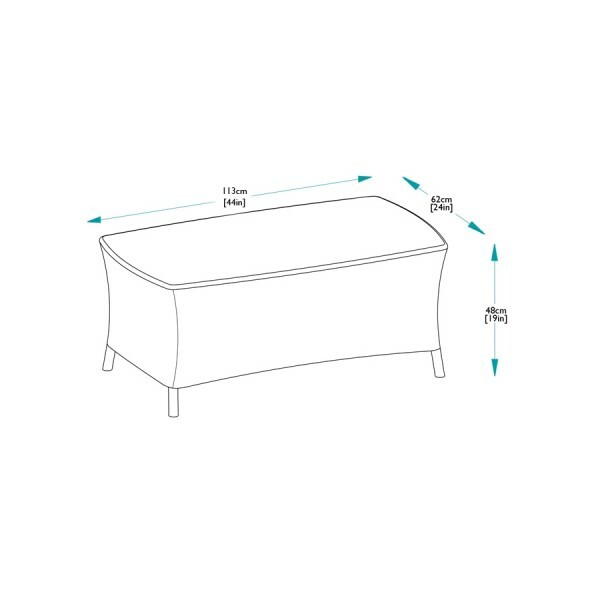 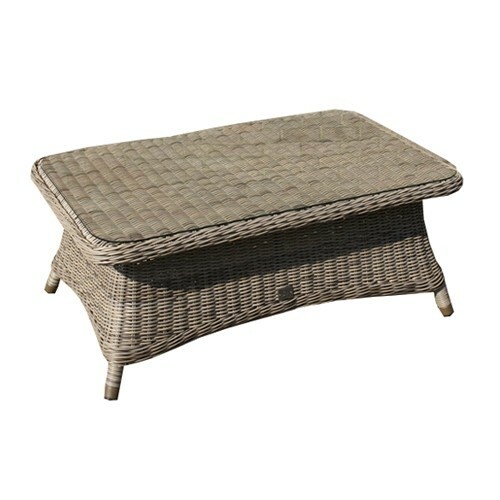 This Sussex coffee table is the ideal addition to a lounging layout and brings handy extra surface space so you can really relax. 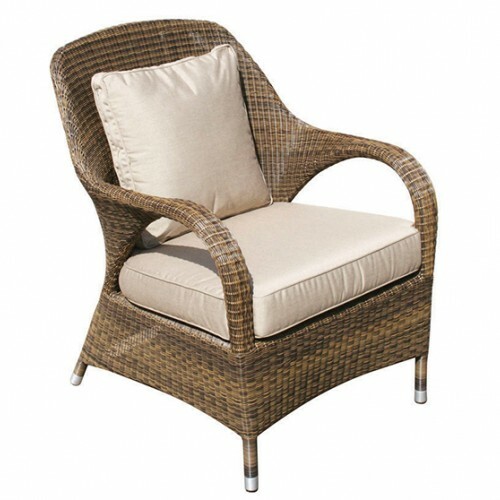 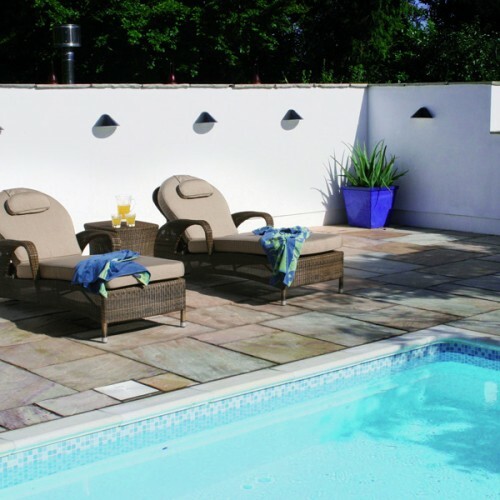 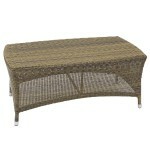 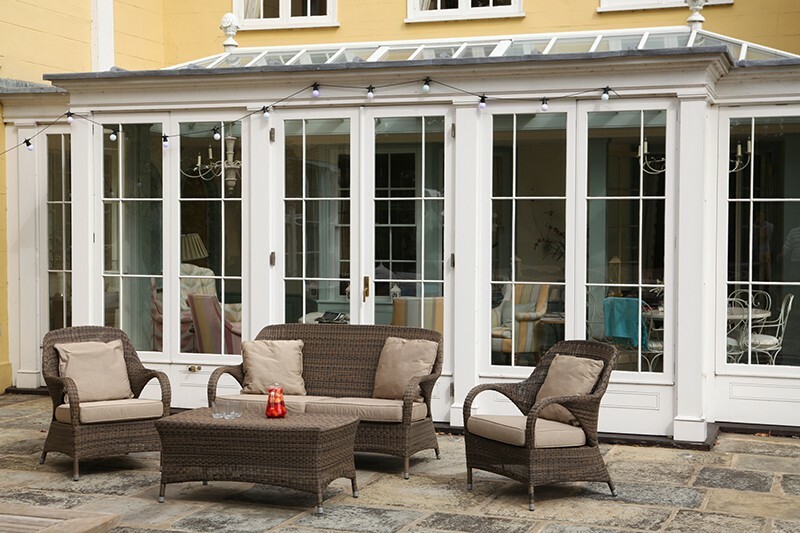 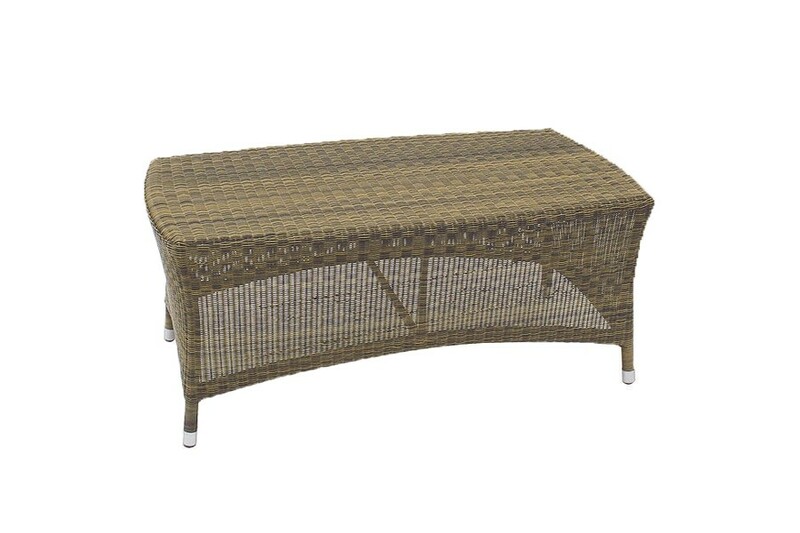 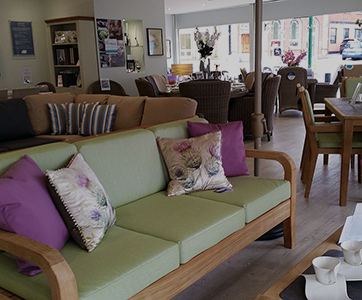 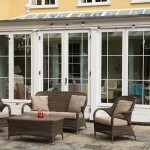 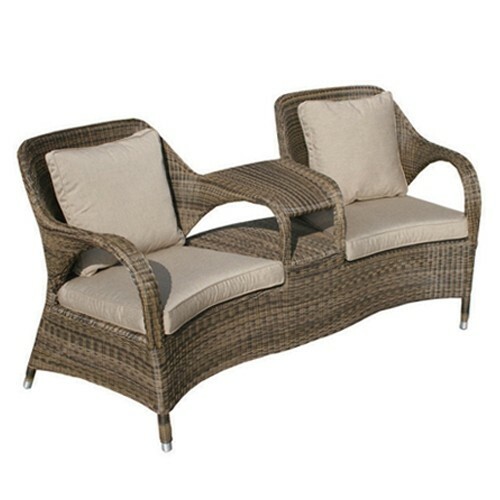 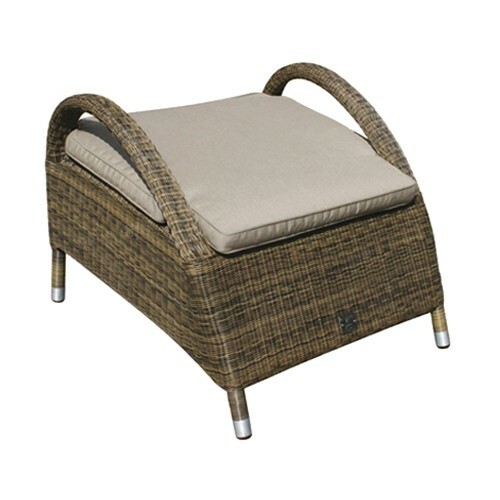 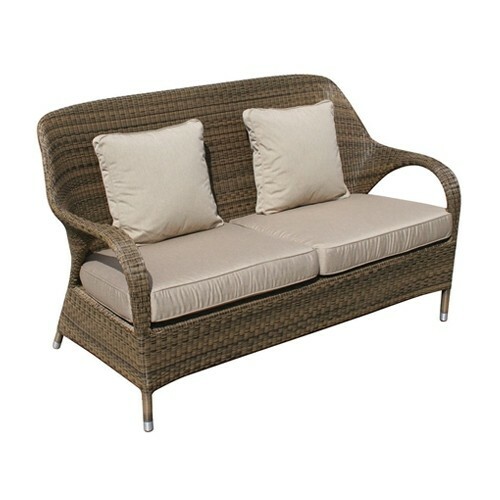 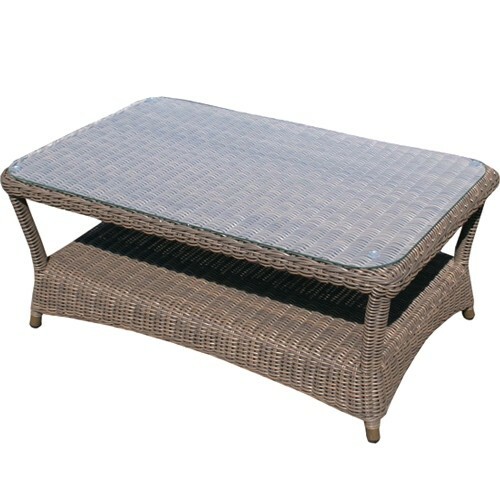 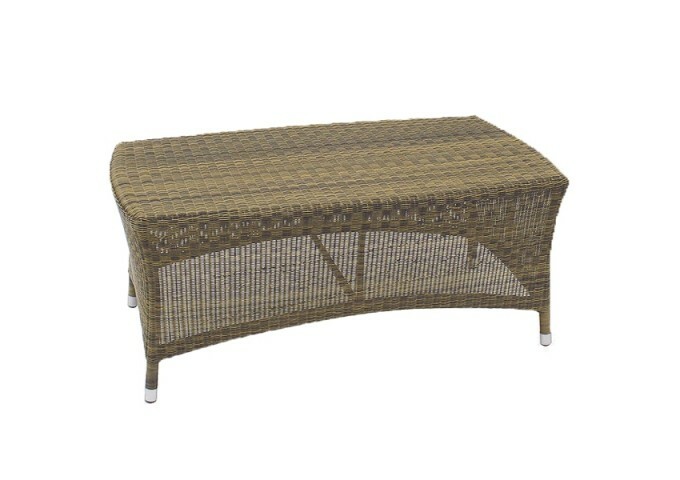 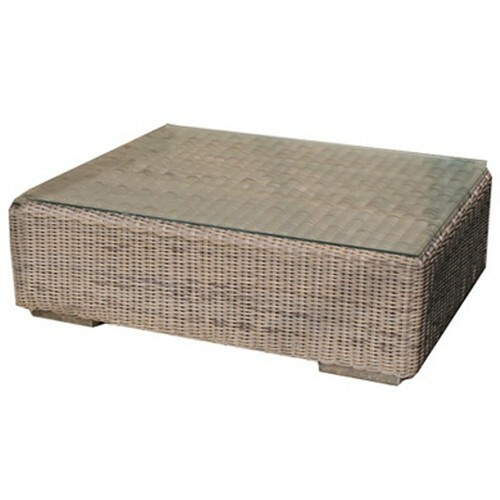 It can remain outdoors all year round and is the perfect addition to a Sussex garden sofa set. 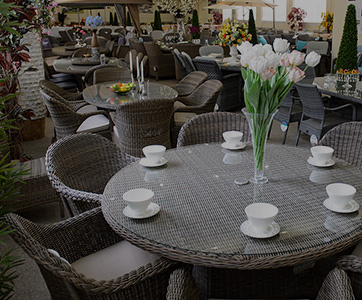 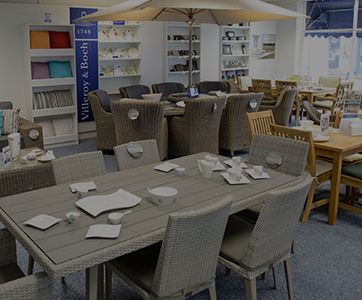 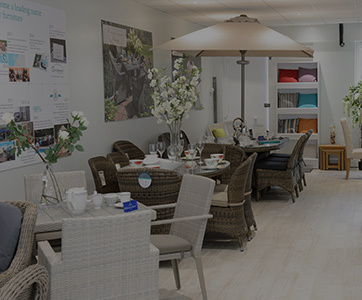 This table is beautifully created from high quality materials to achieve a superior, all weather aluminium and rattan construction that is entirely maintenance free. This weather resistant design features a meticulously hand woven finish in a multi-toned mocha colourway that is naturally suited to a garden setting.